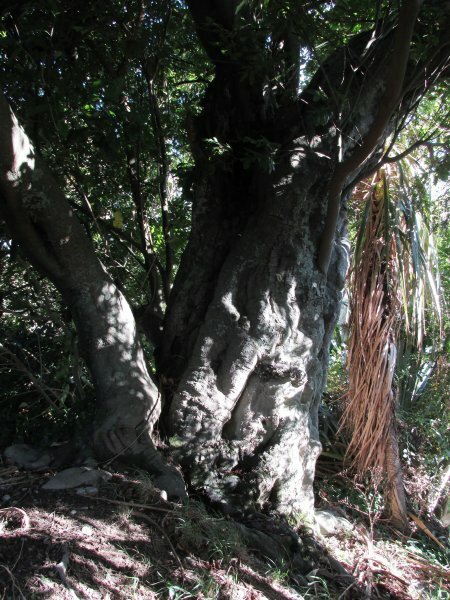 'This historic tree was growing at the time of the Wairau Incident on June 17th 1843' (Ballinger, 1986). 'In 1952 one side of the tree was scorched by fire'. Burstall 1974. Reference. Burstall SW. FM. Report no.21. 1974; p.8. Read about the Wairau Affray on Wikipedia.